2017 Nissan Rogue Bringing New Style and a Hybrid? 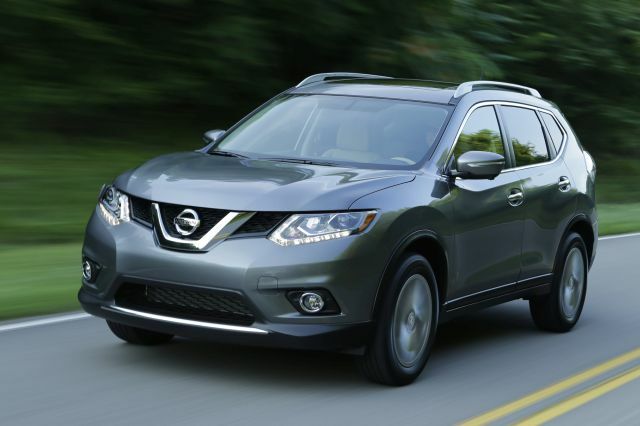 What changes will make 2017 Nissan Rogue different? Lots in the pipeline, including styling updates and possible addition of a hybrid model. Precisely when is the question. All new for model-year 2014, Rogue is due a midcycle freshening before its next full redesign, likely for 2020. If Nissan hews to the previous pace, a midcycle update would come for model-year 2017. It would likely involve relatively minor appearance nips and tucks but could also signal arrival of a hybrid. The automaker sells a gas-electric version of this compact crossover in Japan, where it markets Rogue as the X-Trail. It won’t confirm plans for the U.S., where hybrid demand is weak right now. But company officials acknowledge tightening emissions mandates here compel them to consider a hybrid version of the brand’s second-best-selling vehicle. Simply to see what’s coming. Oddly, skyrocketing demand for Rogue would seem an argument against tampering with it for 2017. Sales rose an astounding 44 percent for calendar 2015, far outpacing growth within the compact-crossover class, itself America’s fastest-growing automotive segment. Only the Honda CR-V-, Toyota RAV4, and Ford Escape outsell it. Nonetheless, timing of any midcycle update for this second-generation Rogue would have been set in place some years ago. If a ’17 revamp is unalterable, expect revisions to the look of the nose and tail, some new color choices, different wheel designs. New features such as full automatic braking, and maybe even a sport-tuned model, could also be on tap. Fuel economy is already a selling point, but a hybrid would promise even better mileage and answer the new-for-2016 RAV4 Hybrid. Yes, if you’re attracted by its many mainstream virtues. These include an uncommonly roomy cabin and availability of a tiny third-row seat that qualifies it and the Mitsubishi Outlander as the only compact crossovers with seven-passenger capacity. A comfortable ride, good handling, and neat technology like a bird’s-eye-view monitor are other plusses. Unfortunately, a lackluster powertrain makes this one of the least invigorating small crossovers to drive. Still, key dimensions and the basic body shape won’t change for 2017, so buying a ’16 gets you Rogue’s prime assets without suffering model-year price escalation. Also likely to return is a core lineup consisting of the base S model, volume-selling SV, and upscale SL trims. If there’s a midcycle freshening, it could follow a trend that has automakers going much further than the traditional modifications to grille, bumpers, and lights. Nissan itself jumped on the bandwagon with a bolder-than-usual midcycle redo of its 2016 Altima midsize sedan. But Rouge’s 2014 redesign imbued it with many of the styling cues just now making their way into other Nissans, particularly the brand’s “V-Motion” grille. Sleeker headlamps and reshaped fasciae are possible. Do not, however, expect this crossover to water down its family-friendly mission by adopting eccentricities like the “floating-roof” appearance Nissan gave its ’16 Maxima and 2015 Murano midsize crossover. Addition of a sporty model, though, could mean aggressive-looking trim to distinguish it from other Rogues. It could even get 19-inch alloy wheels, in contrast to wheels set to return: 18- and 17-inch alloys on the SL and SV, respectively, and the 17-inch steel wheels with wheel covers for the S. Rogue’s cabin would benefit from more padded surfaces, but the design is already quite contemporary. Nissan won’t compromise roomy front and rear seating. And it’s likely to retain the third-row bench that’s been optional on the S and SV; consider it seat-belted transportation for kids in a pinch. Even without styling updates – and barring a hybrid — we’d like to see an update to the only powertrain the nameplate has known since the first-generation bowed as a 2008 model. The 2.5-liter 4-cylinder’s 170 horsepower and 175 pound-feet of torque is barely midpack for the class. But Rogue’s lackluster acceleration can be blamed more on the conduct of its continuously variable transmission. CVTs mimic automatic transmissions, but without stepped gear ratios. This one responds lazily to most throttle inputs and allows the engine to drone intrusively as vehicle speed climbs. Nissan’s improved the behavior of CVTs in its other vehicles, and the ’17 Rogue would benefit from similar attention. A sport model could conceivably get more power or specific CVT calibrations, plus a firmer suspension aimed at elevating handling. Expect all gas versions to return with front-wheel drive as standard. About 55 percent of Rogue buyers are expected to again shell out some $1,350 for all-wheel drive (awd). The hybrid would not be a plug-in and would likely employ a 2.0-liter 4-cylinder engine in combination with electric-motor assist. It would furnish significantly more power than the gas-only model, likely well over 200 horsepower and 200 pound-feet of torque. It would be awd, and despite the extra weight of its lithium-ion battery pack and associated hybrid hardware, it probably would be the fastest Rogue. A midcycle update could bring mechanical alterations and maybe aerodynamic tweaks aimed at improving mileage. That’s a challenge, given Rogue’s already laudable EPA ratings. The 2016 version rated 26/33/28 mpg city/highway/combined with front-wheel drive and 25/32/28 with awd. Using the new RAV4 Hybrid as a bogie, a Rogue hybrid would aim to exceed a rating of 34/31/33 mpg city/highway/combined. The automaker may seize on two developments to take Rogue upscale. First, it’s expanding its presence in the burgeoning subcompact-crossover class with a new SUV sized like the Honda HR-V and Mazda CX-3. It helped pioneer the segment with its wildly styled, youth-oriented Juke. Although it hasn’t confirmed plans for the U.S., the more mainstream subcompact crossover it’s introduced overseas as the Kicks would seem a natural fit for America. And second, a crossover sized and priced under the Rogue would enable it to move Rogue upmaket in features and even powertrains. Compact-crossover shoppers have come to expect luxury and premium features, and the top-line SL model already accounts for 25 percent of Rogue sales. Buyers are attracted to its standard features, which include leather upholstery, power driver’s seat, heated front seats, and a power liftgate. 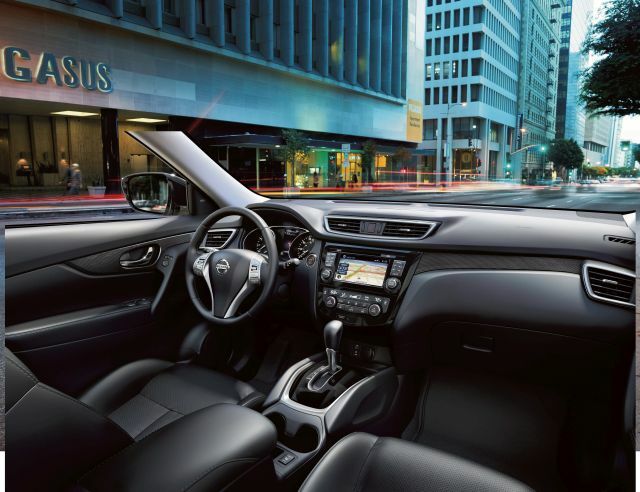 It comes with a navigation system that replaces the base 5-inch dashboard screen with a 7-inch display also used for Nissan’s Around View Monitor, which projects a 360-degree view to aid close-quarters maneuvering. Most of these items have been SV-model options, but 2017 could see some migrate to the SV as standard. The automaker could also rethink a strategy that has a neat panoramic moonroof optional for both SV and SL and LED headlamps as an exclusive SL option. We’d urge that blind-spot warning become standard or optional on all models, not just an extra-cost item for SV and SL. 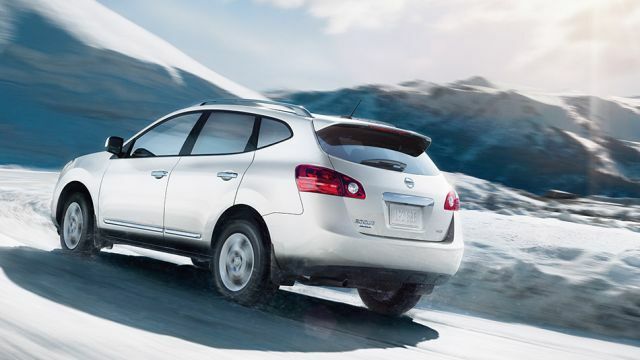 Nissan should bring Rogue abreast of top rivals by offering adaptive cruise control. It introduced front-collision-mitigating automatic low-speed braking as a 2016 SL option, but should offer it on other models. And to keep up with the competition (and improve safety-ratings scores), it should enhance it to actually bring the vehicle to a full stop. They’ll increase, but returning models shouldn’t be drastically more expensive. Expect the 2017 S to begin around $24,450, the SV around $25,850, and the SL around $29,800. Add around $1,350 for awd. (These estimated base prices include Nissan’s destination fee, which was $885 for the 2016 Rogue.) Any new sport-trim version would be priced around the SL. And a hybrid would likely begin at least $1,000 above the SL. Expect a fall 2016 release. Improved powertrain performance and refinement and classier cabin materials, as we’ve suggested. But a higher-definition navigation display in place of the current, fuzzy and cartoonish graphics would enrich the Rogue experience significantly.